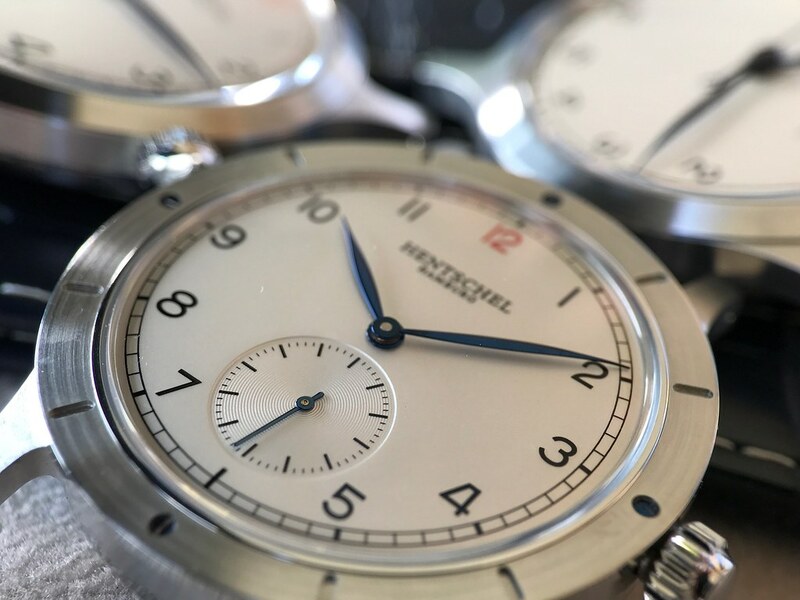 Now that my house moving comes to a more relaxed phase I'd like to share some photos of the Hentschel Hafenmeister collection, positioned by the Uhrenmanufaktur Hamburg as the entry level for timepieces that carry inhouse movements. 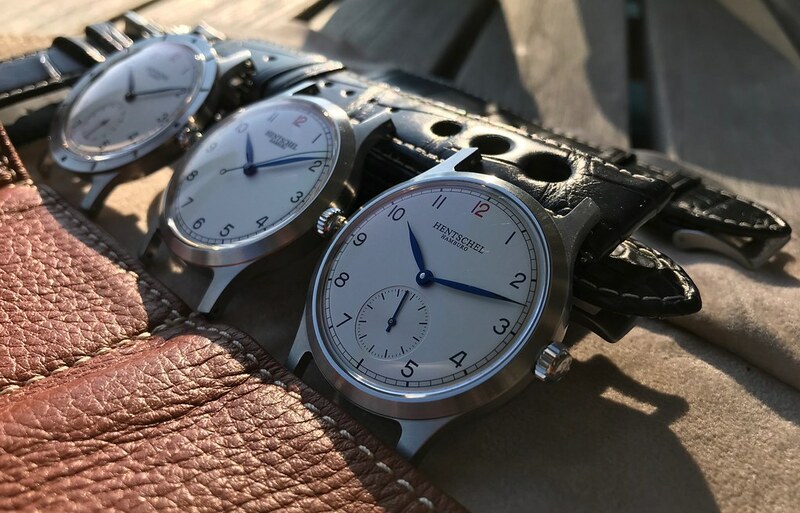 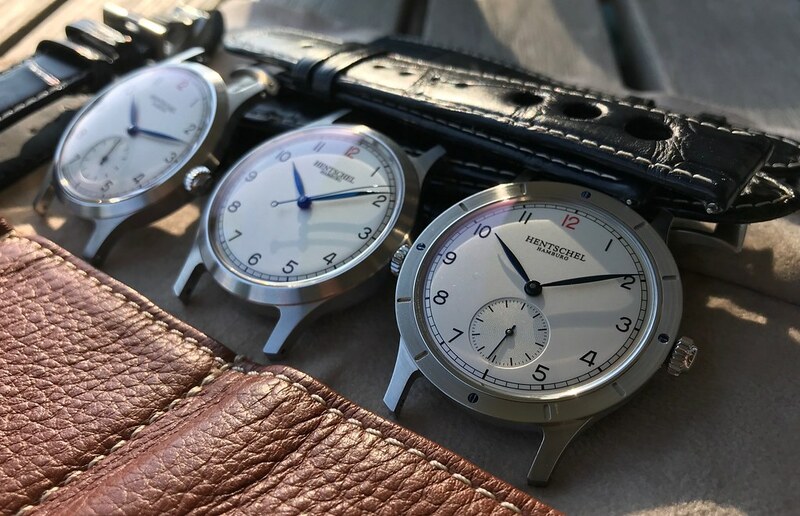 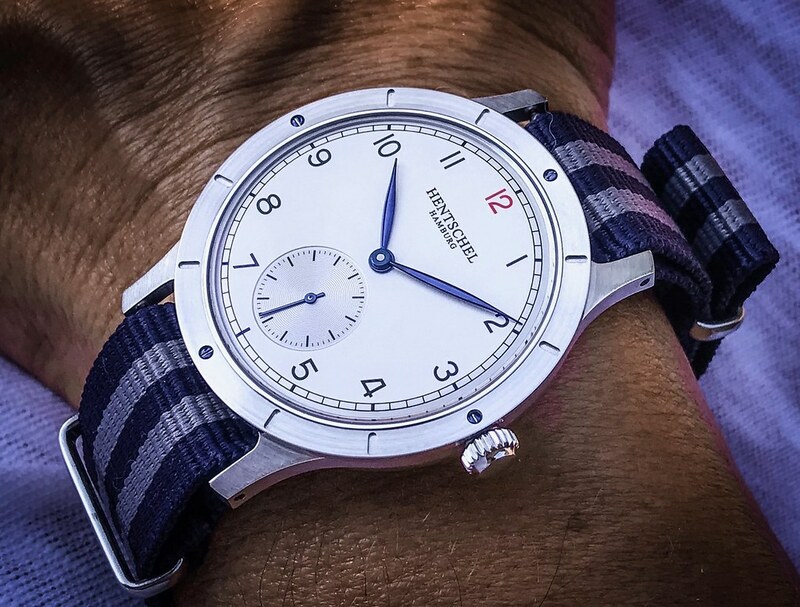 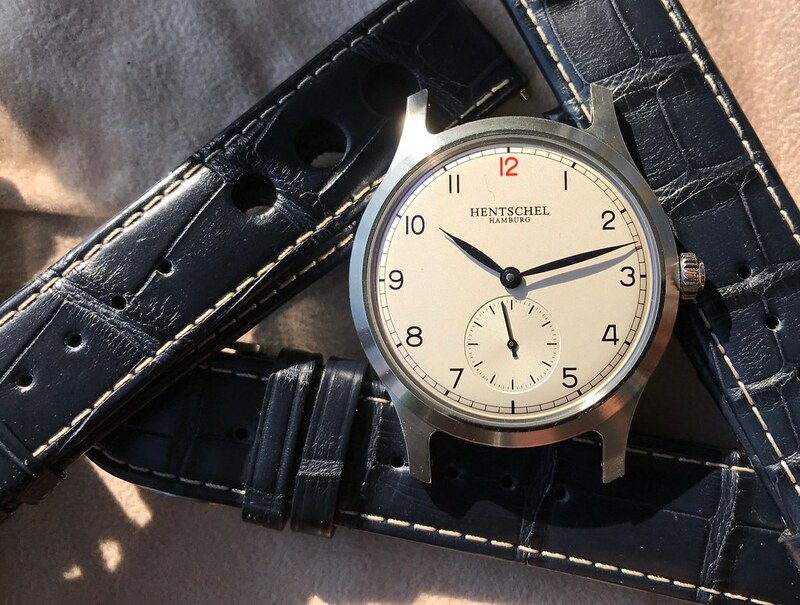 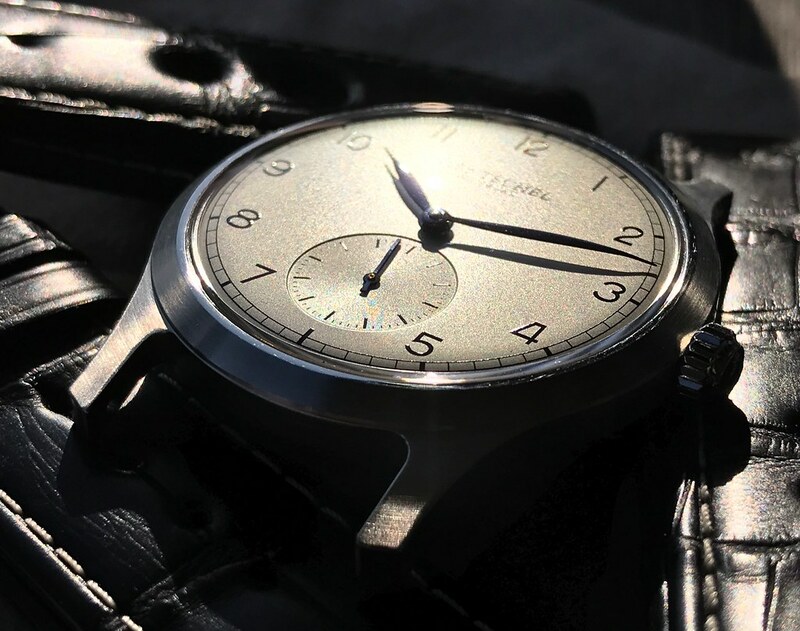 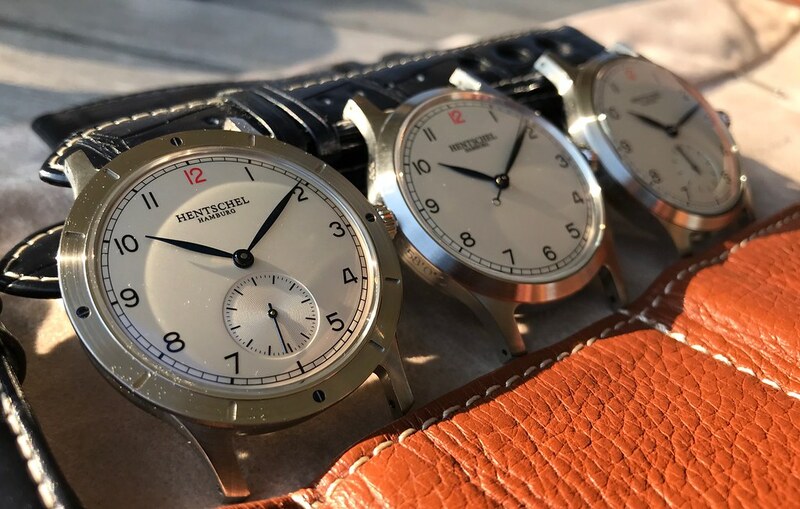 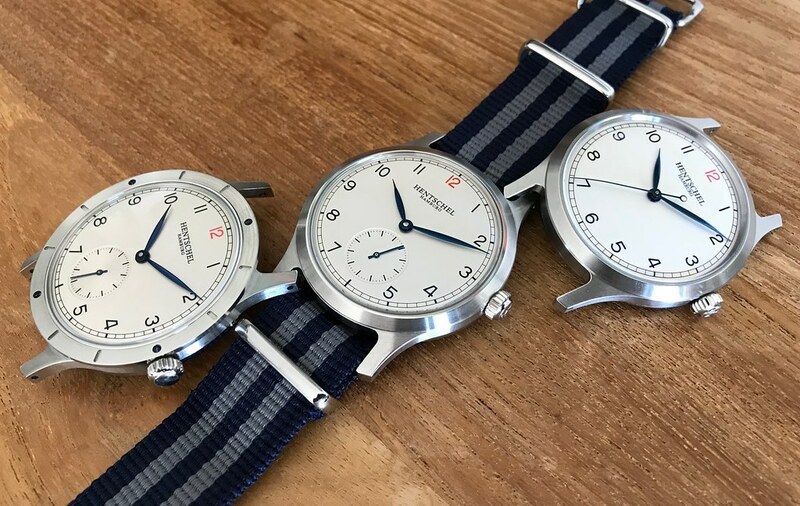 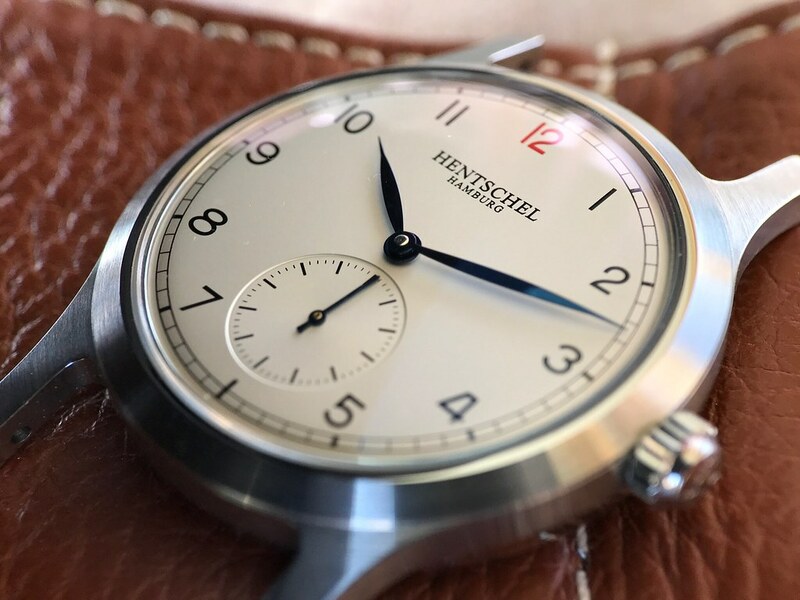 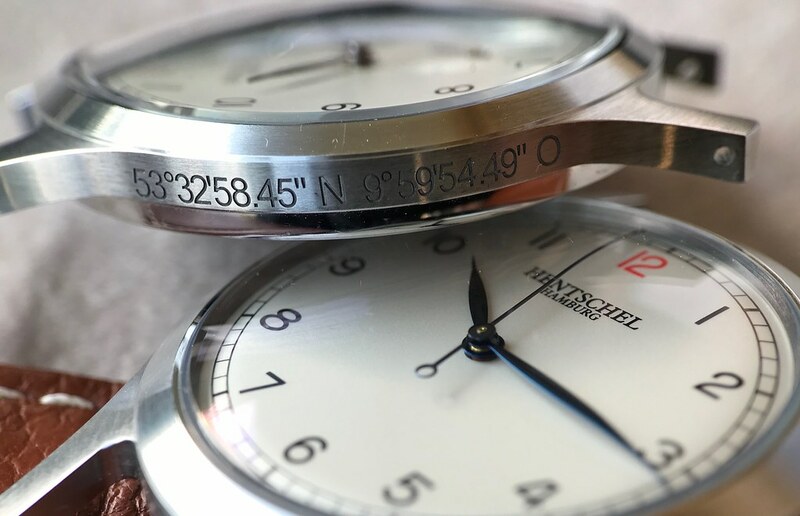 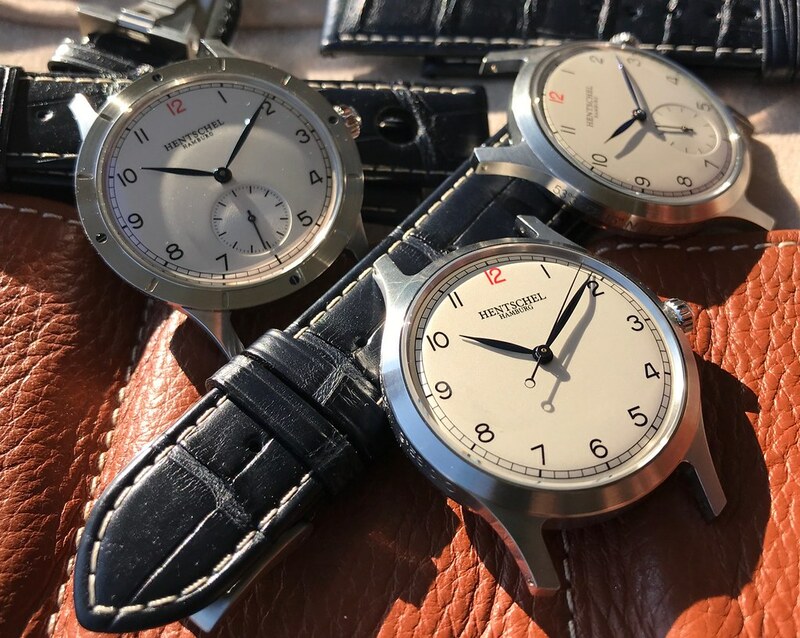 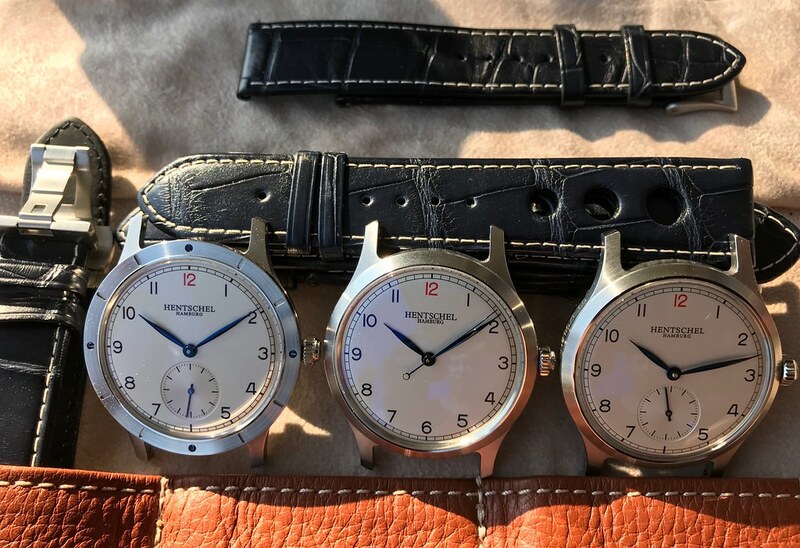 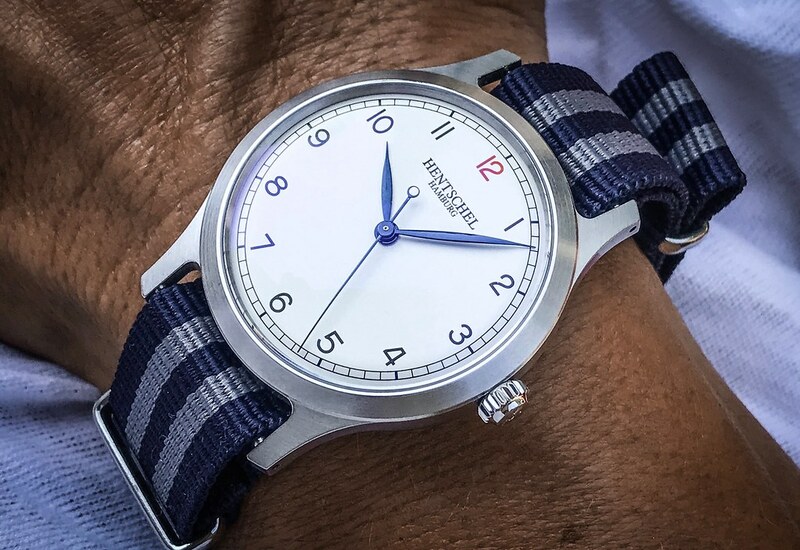 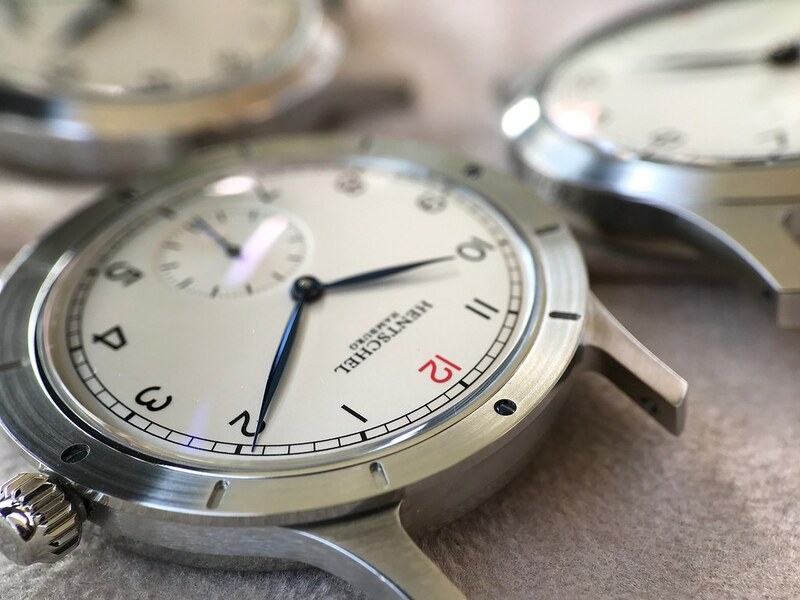 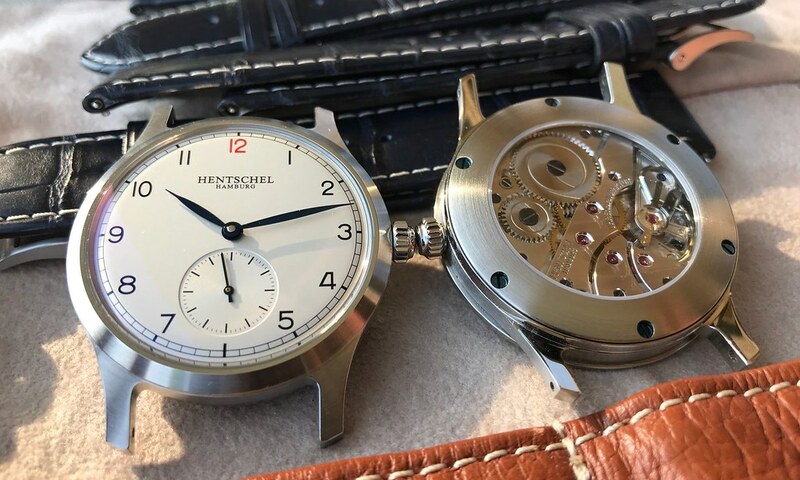 Available in three versions, the Hafenmeister has a diameter of 39mm, crafted in stainless steel, and features all the components that make a beautiful Hentschel timepiece: heat blued hands, domed dial and sapphire crystal, a minimalistic rehaut and - as a differentiating design element - a red 12. 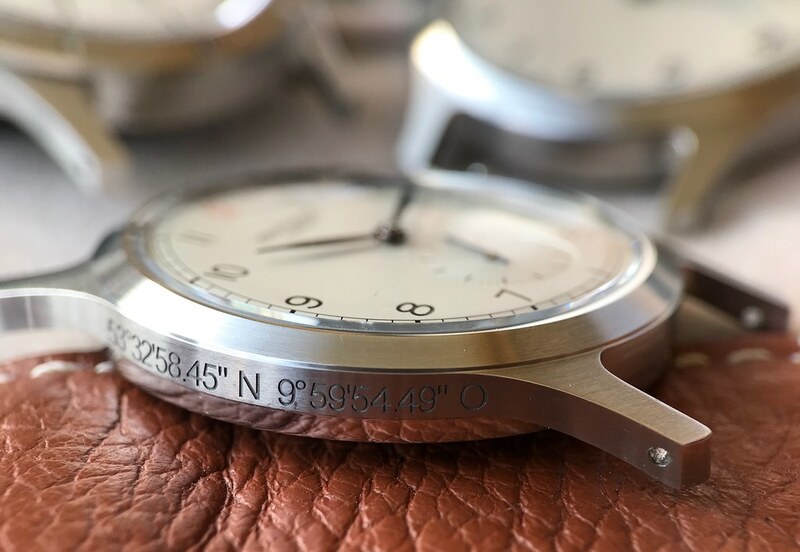 And here you find some additional detail shots. 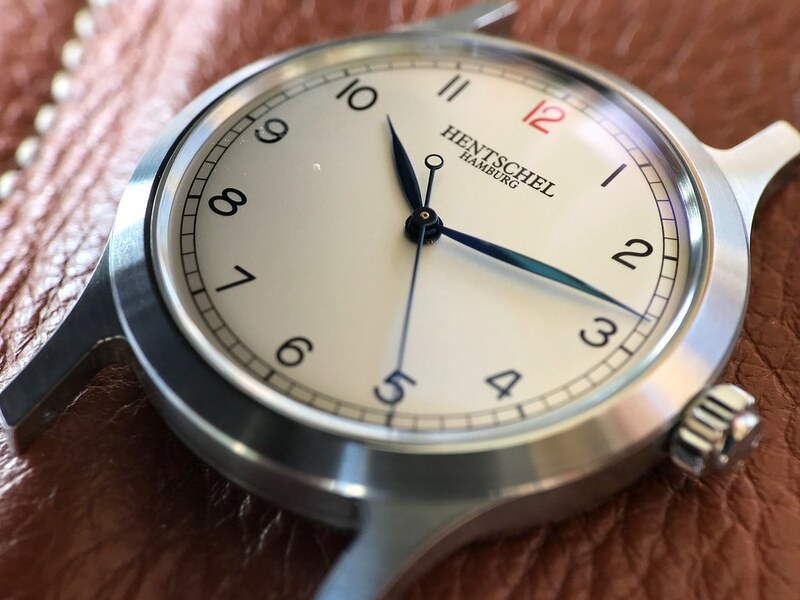 Upon request the case can also carry your desired position - since Andreas Hentschel sees his watches in the tradition of marine chronometers, this is a nice touch. 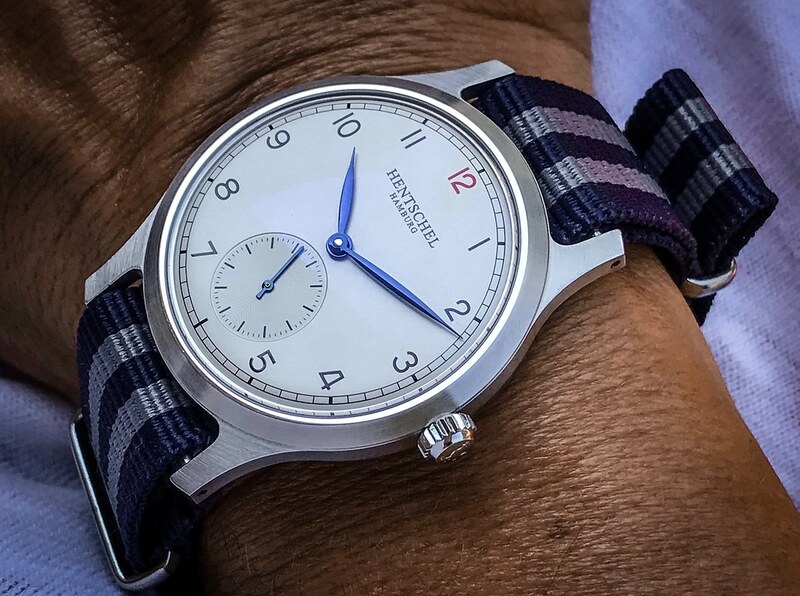 I'll finish this photo report with some wristshots of all three versions on the same strap for comparative reasons.